This May, the former owner of Roast Coach Coffee Bar opened Holsem Coffee, one of the newest spots in town to get your caffeine fix. 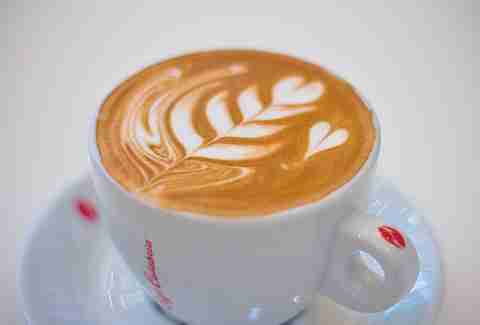 This place is all about quality, sparing no expense to source the highest-grade beans from all over the globe. This small-batch roaster offers seven roasts daily like Yirgacheffe, Sidamo, and its own Holsem Blend. All of you beer people will love that they have a 15-tap system that pours a selection of cold brew on nitro. 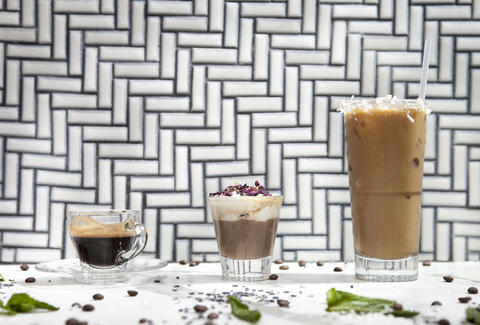 Also, a nod to the pour-over shaken coffee drinks at Roast Coach, Holsem serves 18 non-alcoholic blended, shaken, and mixed "coffee parlour cocktails" like banana bread (cold brew, banana milk, cinnamon, honey) and lavender (dark chocolate, lavender confetti, milk). These are made from all-natural, house-made nut milks, malts, fruit purées, and syrups created with evaporated cane sugar. Mostra was started back in 2013 by a group of old friends who were tired of having to drive half an hour to get decent coffee. Now their artisan micro-roasting company is collaborating with a list of breweries like Stone Brewing Co., Karl Strauss, Green Flash, Abnormal Beer Co., and many more. The bourbon-barrel-aged stout Mostra created with 3 Sons Brewing even won Best Beer at this year’s Hunahpu Day Beer Fest. It's only open to the public on Wednesdays and most Saturdays -- you can check it's social media channels for dates. In the mean time, you can buy Mostra's sustainable, fair-trade beans on its website and in select stores, or get bottles of its cold brew at places like Sprouts, The Cork and Craft, and Brother’s Provisions (to name a few). Bottlecraft, Common Theory Public House, and Tap Room all have Mostra’s cold brew on nitro as well. Brothers Bryan and Daniel Charlson grew up in Kauai amongst coffee fields and plantations, so they know a thing or two about good java. 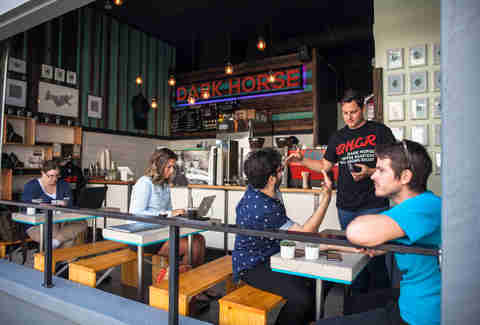 They opened the first Dark Horse Coffee Roasters in Normal Heights, and just four years later they’re about to open their fourth shop in Golden Hill. Dark Horse has a "green bean sourcing team" that travels the world every year in search of the highest-quality coffee beans they can find, while also establishing direct trade relationships with small community and village farms. No one would believe that Caffe Calabria got started with a couple of hospital coffee kiosks, but when owner Arne Holt had trouble sourcing quality coffee he finally decided to start roasting his own. That’s when he opened up North Park’s Caffe Calabria back in 2001. Now, 14 years later, he’s training baristas in the art of espresso extraction and milk texturing to create the best cup of coffee to ever touch your lips. They're not messing around with timers or one-push buttons to roast their beans. Their roasting process is extremely hands-on so that they can be sure to reach the peak of flavor. If you want to get your hands on Caffe Calabria's beans you can stop by the café on 30th, order from the website, or pick up a bag at Whole Foods (Hillcrest and La Jolla), Specialty Produce, and at Ballast Point in Little Italy (who they worked with to brew the Victory At Sea Imperial Porter that won seven awards). They’ve also worked with Hess Brewing to create the Grazias Cream Ale and their coffee is served around town at Starlite, Jayne’s Gastropub, and Alexander’s. Seeing as they were chosen as Roast magazine’s Micro Coffee Roaster of the Year in 2012, Bird Rock is kind of a big deal. There is also a Q-Grader-certified roaster on site, which again, is also a big deal. Bird Rock is about more than just the java, though. They have not only committed themselves to serving responsibly sourced, sustainable, direct trade coffee, they also generously give back to the San Diego community. 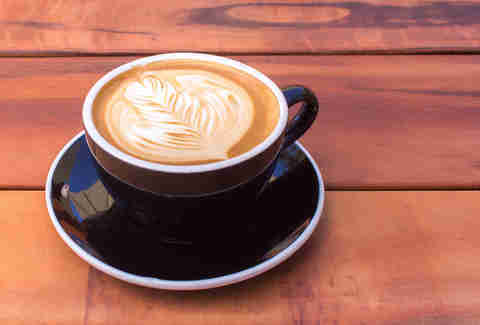 Local breweries like Pizza Port, Karl Strauss, and Helms Brewing have created award-winning beers with their coffee. 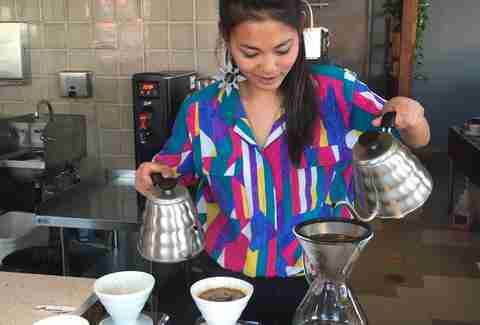 Now, after almost 10 years of serving pour over’s and lattes in La Jolla, they have recently opened a second location on Kettner in Little Italy and a new roastery on Morena Blvd that will have a coffee bar inside as of this month. If you want to be as awesome as they are at all things coffee, you can start by taking one of their barista classes or by signing up for their weekly cuppings, happening every Friday at 10:30am. If you like your caffeine with a side of ocean breeze, this small-batch roaster is just a block from Mission Beach and has a big outdoor patio where you can breathe it all in. Swell is all about sustainable coffee and being as environmentally friendly as possible. Their coffee roaster is near-zero emissions, the place is lit with LED lights, they encourage "for-here" cups as opposed to the paper or styrofoam kind, and they recycle, which makes them pretty swell. Just last year, they joined forces with The Patio Restaurant Group whose spots on Lamont and Goldfinch serve Swell’s coffees and espressos. 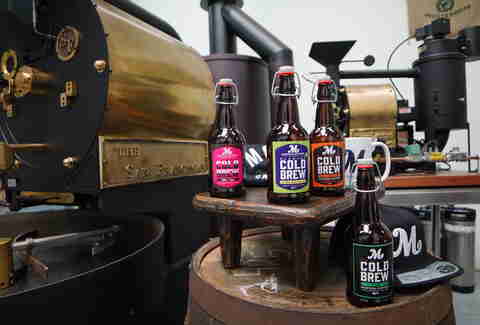 Keep and eye out for their cupping events and for all of you caffeine-aholics out there, you can get their cold brew by the keg. Seriously. 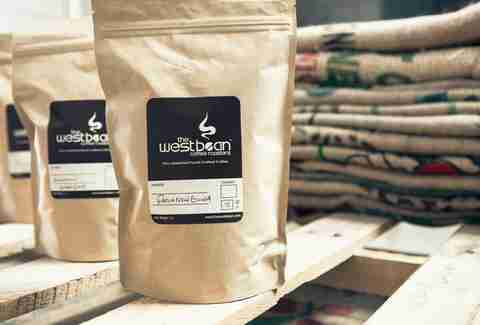 After five years of wholesaling its beans, Westbean was just rated one of the top 16 hottest coffee shops in the nation by Zagat and has collaborated with Blind Lady Alehouse, Benchmark Brewing Company, and more. You can grab a cup at its two San Diego locations, on Broadway Downtown or at its roastery/coffee bar in Grantville, or just a brew a cup for yourself since this micro-roaster also sells its coffee online along with all kinds of brewing equipment. Whether you prefer your coffee made with a French press, AeroPress, or pour-over style, there are step-by-step instructions on the site teaching coffee drinkers how to make the perfect cup using just about every brewing method possible. However, you’ll have to stop by one of the shops to try the newest concoction, Kryptonite, a mint-infused cold brew shaken with house-made brown sugar, simple syrup, and cream. Upon opening in an unexpected stretch of El Cajon Blvd a few years ago, Coffee & Tea Collective’s small-batch roastery and tasting room quickly became a destination for serious local coffee lovers. The no-frills minimalist design to the space keeps the focus on what’s important: the coffee. 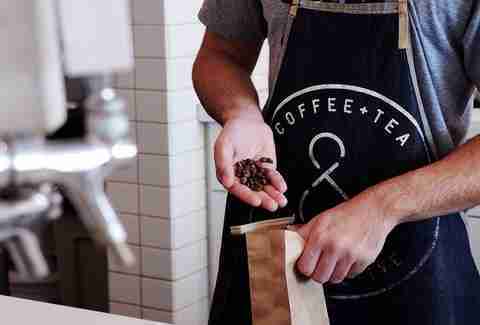 They are all about quality and utilizing pour over brewing methods to produce a consistently great cup of joe. The buzz must be catching, because they recently expanded to a second location in the East Village sharing a space with Consortium Holding’s Juice Saves. This second location has a full espresso bar, the single origin pour over coffees that they’re known for, and their cold brew and iced teas on tap.